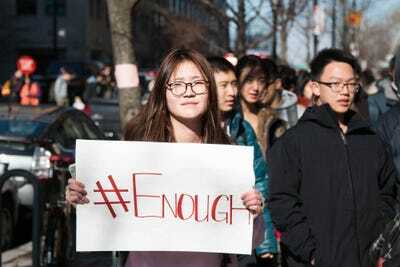 Students walked out of schools across the country protesting gun violence on Wednesday. New York Gov. 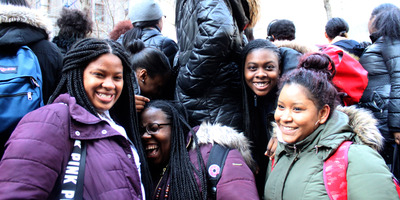 Andrew Cuomo joined students in Lower Manhattan. 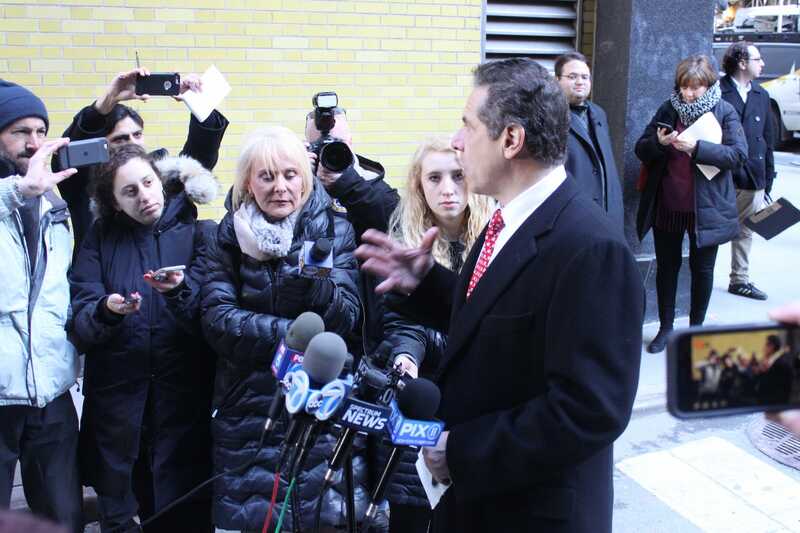 While Cuomo said he supported the students, he didn’t get behind some of their calls to ban guns entirely. New York Governor Andrew Cuomo joined hundreds of students in Lower Manhattan as they staged a “die-in” during the National School Walkout on Wednesday. While he seemed supportive of their aims and energy, he shied away from throwing his weight behind some of their most controversial proposals. A boisterous crowd of protesting students filled Zuccotti Park in New York City’s financial district, holding signs decrying the epidemic of gun violence in schools across the country. Student Ida Butcher had some harsh words for the governor, who she said hasn’t been vocal enough on the gun issue. Michal Kranz/Business InsiderStudents at the walkout. Butcher is on the left. The crowd, which represented just one out of many groups of students who had walked out of schools across New York City, moved out of the park, and Cuomo marched with them. When pressed on his response to student’s who were concerned about his response, he offered a measured response. New York state’s SAFE Act, which became law in 2013, is broad – it includes an assault weapons ban, mandates universal background checks, and requires life without parole for anyone who kills a first responder. But the law is not without its critics. Some mental health experts have said that the bill’s focus on preventing people will dangerous mental illnesses might inhibit their access to therapy because it would require doctors to tell authorities if their patients are a danger to themselves or others, potentially resulting in their firearms being seized. Michal Kranz/Business InsiderCuomo speaks to reporters at the rally. 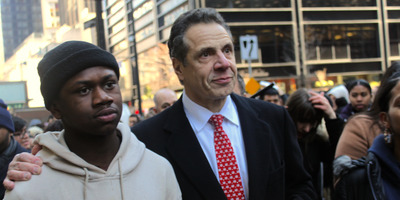 As Cuomo continued to march with students, many expressed their condolences for students killed in school shootings. Nathanial Singleton participated in the die-in at Zuccotti Park. The New York City students joined kids across the US protesting in 3,000 demonstrations. They walked out of school for 17 minutes, each minute commemorating a death in the Florida shooting at Marjory Stoneman Douglas high school a month ago. Randi Weingarten, the president of the American Federation of Teachers who was also at Wednesday’s “die-in,” explained why she thought this moment was different from past efforts to address gun violence in America. This article has been corrected after initially misstating Gov. Andrew Cuomo’s first name.